Ai is the most famous Chinese artist living today. The PROA Foundation is all set to open the first exhibition ever of artist Ai Weiwei on the continent. Ai is the most famous Chinese artist living today: as an activist, he scrutinises human rights violations on an epic scale, and as an artist he constantly develops new concepts to make his social concerns visible. He intervenes in public space and uses social media. In front of the PROA façade, Forever Bicycles (2017) has already been installed. It features 1,254 bicycles, the most common mode of transportation in China turned into the monumental. It is typical of the artist, who often uses everyday objects, granting them new different, often political meanings. As he did when he draped Berlin’s Konzerthaus in orange life vests, symbolising drowned refugees who had tried to reach Germany. His engagement with the refugee crisis resulted in his recently released film Human Flow, which premiered at the Cannes Film Festival and is currently showing around the world. The artist has been educated as a filmmaker, but is more interested in ideas than all the mechanics behind film, as he has mentioned on numerous occasions. 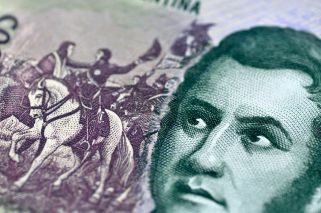 This film needed to be made though, as he stated in August during a visit in Buenos Aires. While promoting it, he was also directing the show at PROA. The artist, besides being social activist and filmmaker, is also a curator and architect. “He decided what had to be placed in every room of the exhibit. His way to appropriate a space really demonstrates his talents as an architect,” said Adriana Rosenberg, director of PROA, addressing the installation process. 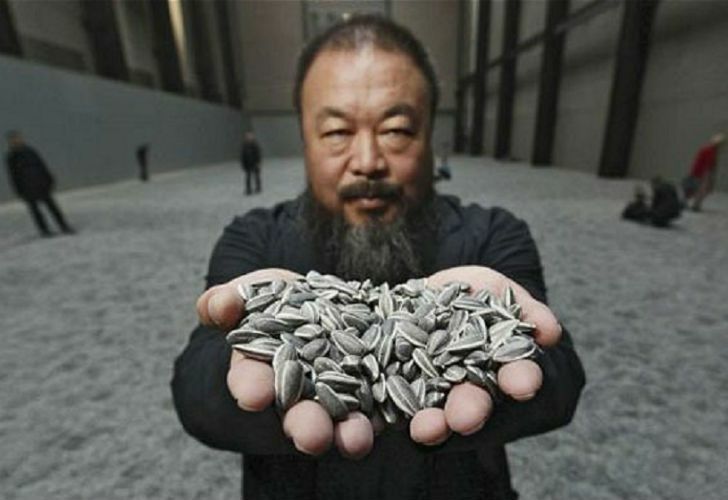 On his Instagram account, one can see the famous Sunflower Seeds (2010) being installed in one of the rooms, which filled the Tate Modern in London seven years ago: thousands of porcelain sunflower seeds, made by craftsmen in China — turning the production of the work into a collective undertaking. “Made in China” will have a different connotation, once you have seen this piece and the meticulous work that went into its creation. Seeds in China are an everyday snack, sold on the streets. For Ai, chewing this urban street food was a happy memory, until public space became an unfree space for him and fellow artists, who believe in freedom of speech. The artist has been arrested many times and the Chinese government monitors him constantly, which may be why he opens up on social media. There is nothing to hide. Only more to be shown.